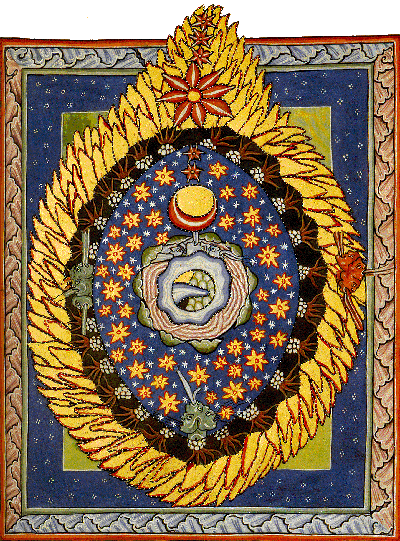 Tapestry was born out of a love of the music of medieval abbess and mystic Hildegard von Bingen. Over the years, the ensemble paired her music with medieval and contemporary music in cathedrals and concert halls throughout the United States and Europe. Inspired by their interpretations of Hildegard, composer Patricia Van Ness composed The Nine Orders of the Angels, a song cycle which she sculpted specifically for their voices. Patricia learned Hildegard's notation in order to better communicate the sweeping lines of the piece and worked closely with the singers to develop the cycle. During the course of several years of friendship and collaboration between composer and singers, the cycle has continued to develop and grow, often with an improvisatory quality which is a unique trait of medieval singing. Tapestry recorded this program with MDG and was awarded the Echo Klassik, Germany's highest honor for recorded music. The recording was also chosen as recording of the month by Music Web (UK) and the review states, "This is, for me, already my record of the year and I can only urge readers for whom this repertoire is little known or for those of you who are already engaged with it in some way to search this disc out. I would be amazed if you did not become as besotted with this disc as I am."